There are plenty of reasons to shop for a new carpet. Perhaps you need to replace an older carpet, are redecorating, or simply wish to add some area rugs to a cold floor. No matter the reason, it can be difficult to sift through the many options available. 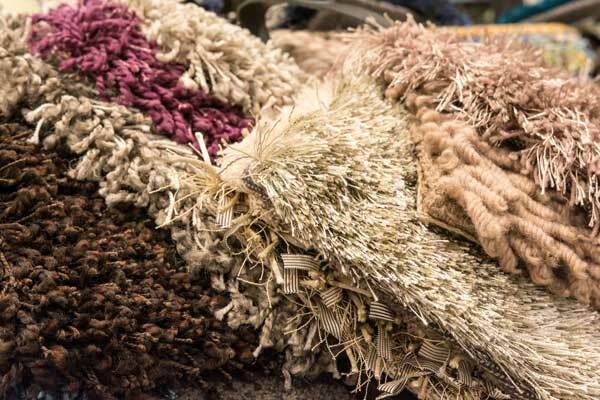 Gaining a basic understanding of the different materials and cuts will help you find the best carpet for your project. No matter what type of carpet you choose, the material is going to determine how resistant your new carpet will be to damage, its softness, and the final cost. 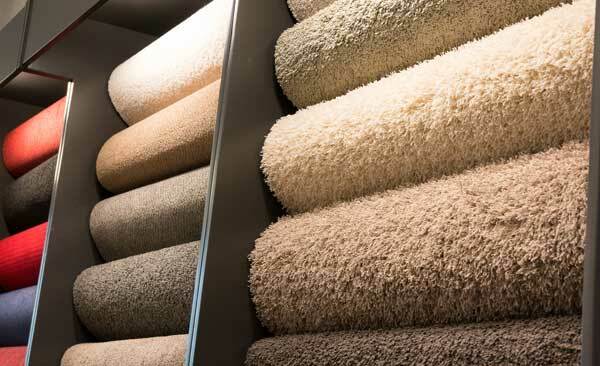 Most carpet materials are synthetic, and all have their individual perks. The comparison table at the end will help illustrate some of the differences. If you are looking for a cheap alternative to wool, acrylic is the answer. This synthetic material is resistant to infestation, fire, stains, fading, static electricity, and mildew. The primary disadvantage is a lower durability, making it unsuitable for high-traffic areas. A mix of nylon and olefin, this hybrid carpet material shares many features of both. This also means it shares the disadvantages. The biggest drawback of blended carpets is the uneven resistance to staining, which may leave some fibers more stained than others. The most popular carpeting material, nylon is also the most durable. It hides dirt, resists bug infestations, comes in vibrant color options, and higher-end brands will last up to 15 years. Unfortunately, you will need to invest in a stain blocker or pre-treated carpet to avoid easy staining, as it can fade or discolor when exposed to urine or other bleaching agents. And the material can melt if exposed to fire. Olefin is the second most popular type of carpeting. Also known as polypropylene, this plastic carpet material works best in loop carpets and is used primarily in outdoor and commercial settings. It is highly stain resistant and doesn’t fade. Olefin is also easy to clean, durable enough for high-traffic areas, and cheap. Depending on the cut, however olefin may be prone to crushing. Colors choice is limited, and the material melts when exposed to fire. A cheap alternative to wool and nylon, polyester has several perks. The material is resistant to many stains, luxurious, resistant to abrasion, and easy to clean. However, it does fade with prolonged exposure to sunlight and doesn’t hold up well to heavy foot traffic and furniture. Brightly colored and available in numerous textures, PET is an environmentally friendly alternative to nylon. This material is usually made from recycled bottle caps (50 caps per square yard). It boasts a resistance to water, static, mildew, and stains. PET is also allergen friendly and lends to better indoor air quality. However, it attracts dirt, sheds/frays, and can melt. The material is also known to squeak or gleam. While not the softest material choice, it is quite inexpensive. The most expensive carpet option, wool is a natural carpet fiber which is cherished for its softness and overall durability. It is naturally resistant, hides dirt, and comes in a multitude of colors and styles. Unfortunately, wool is prone to both staining and infestation. It will also fade when exposed to prolonged sunlight. A low resistance to chemicals makes cleaning difficult. However, despite these drawbacks, wool carpets are quite luxurious and will last if properly maintained. There are several other carpet materials available. The following options are far less common, and usually far less durable, than those previously mentioned. Coir – Made from coconut fibers, coir is a wiry material most often found in doormats. Jute – Boasting only moderate durability, jute is prone to sun and water damage. Linen – Great for humid climates, linen will show traffic patterns over time. Paper – Coated in wax, paper is a strong material which holds up to water better than other plant materials, although it can still be damaged. Sea Grass – Made from various reeds, this cheap material doesn’t hold up well in humid environments. Silk – Soft, luxurious, and easily dyed; silk is often blended with wool due to the high price. Sisal – This plant fiber is almost as strong as wool, but fades easily in sunlight and may stain from even water. There are a large variety of carpet types, each with their own unique characteristics. However, the many varieties may be placed into three major categories: cut pile, cut and loop, and loop. 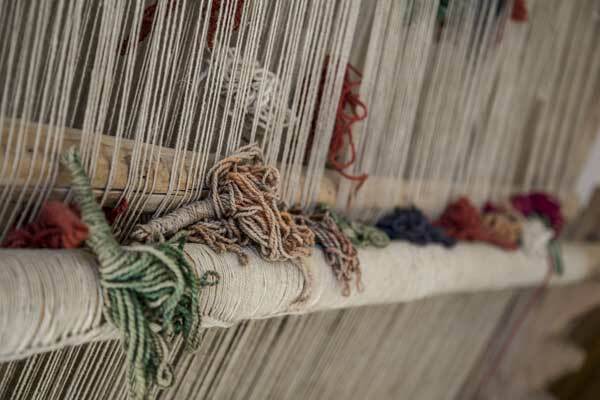 The most popular type of carpet, looped fibers are cut to create vertical yarn bundles. While variations of this type may be pre-sheared to increase softness, all cut pile carpets are susceptible to crushing. Frieze carpets have short, highly twisted fibers angled at different directions. This rough-appearing design hides vacuum and footprint marks, making it a good choice for high traffic areas. It isn’t as soft as other cut pile carpets. Grass-pile is a style of carpet which uses slit-film olefin. This carpet gets its name due to its resemblance to grass, although it may be purchased in a variety of colors. Saxony lightly twists two fibers together and then heat-set to be straight. They’re prone to showing foot and vacuum marks, and has a moderate durability. Shag carpets are no longer common, and feature longer, less-dense yarn tufts. Textures are the most popular form of cut pile due to its softness. Similar to Saxony carpets, textures use multiple colors to help hide foot marks. Velvet and plush carpets are lightly twisted like Saxony and textures, they are the softest of the cut piles, and more level. Due to their rich colors, these carpets are often used in formal settings. However, their uniform colors mean that plush and velvet carpets show every foot mark. Coming in two flavors, loop pile carpets are uncut, making them stronger than cut pile. Yarn is looped into the backing, making this type of carpet very durable. Level loop pile carpets have densely packed loops of uniform height. Short loops are easy to clean and work best in high traffic areas. Longer loops are more luxurious but hold dirt easier. Berber is a special type of level loop carpet which is highly popular. Their thicker yarn hides foot and vacuum marks, as well as providing high durability. Unfortunately, they are more prone to absorbing dirt and being damaged from snags. The material options include nylon, olefin, and wool. Multi-level loop pile carpets are sometimes referred to as “high-low”, due to their use of two to three different loop heights. The varying heights create texture patterns in the carpet. Good for use in high-traffic areas, the smaller loops are more likely to retain dirt than the larger loops. Containing both cut and uncut loops, these hybrid carpets have moderate durability and may be found in solid or multicolor patterns. The blend of textures sometimes creates a sculpture effect, and both dirt and foot marks are more difficult to spot due to the varied levels of loops and tufts. Martha Stewart provides a guide on shopping for carpets or area rugs.